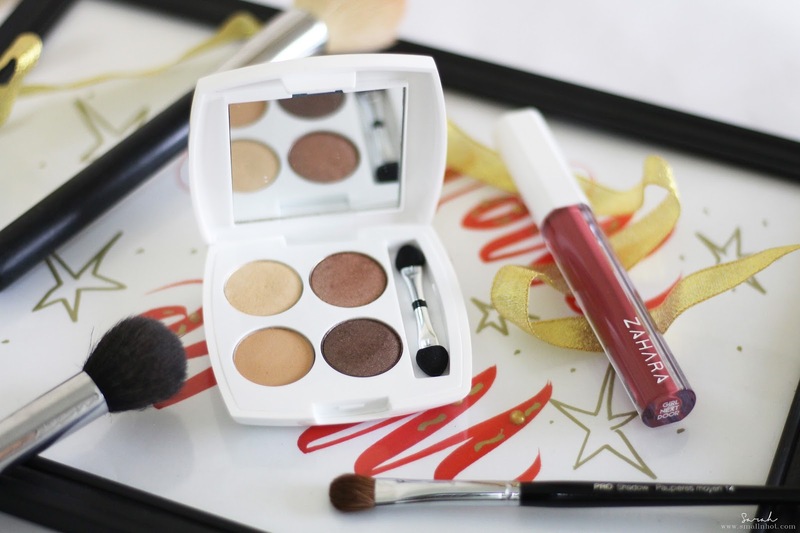 ZAHARA Halal Eyeshadow Palette & Matte Lip Cream - Impressive Or Just Ordinary? When it comes to eye makeup, I'm all about the neutrals. recently I came across ZAHARA's eyeshadow palette and matte lip cream, which to me felt was review worthy. So I decided to cook up some eye and lip makeup styles over the weekend to get a first hand feel of what the brand has to offer. Let's find out how does this halal and wudhu friendly makeup products fare..Impressive or just ordinary.. This palette is great if you're going for a no make-up / I always look this perfect look. Subtle with a slight shimmer, it's innocent and oh-so-gorgeous. With 4 shades; 1 base 1 highlighting, 1 contouring and 1 defining. Halal, highly pigmented and in stunning popular shades. 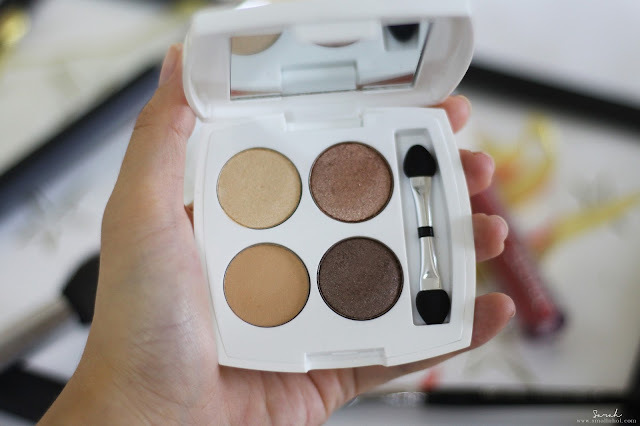 You'll LIKE it if you are looking for a neutral and pigmented eyeshadow palette quad. You'll HATE it if you prefer cream type of eyeshadow. These days I tend to stick to just one eyeshadow palette and not roam around but I thought I'd give the ZAHARA Golden Goddess Eyeshadow Palette a chance, as all of the shades are right up my alley. With a mix of high intensity shimmer, light shimmery and matte shades, I have to say this is really a very versatile palette that can be used to create many different looks with. The only downside I have with this eyeshadow palette is the lack of a matte black color which I use very often to smudge out my eyeliner. 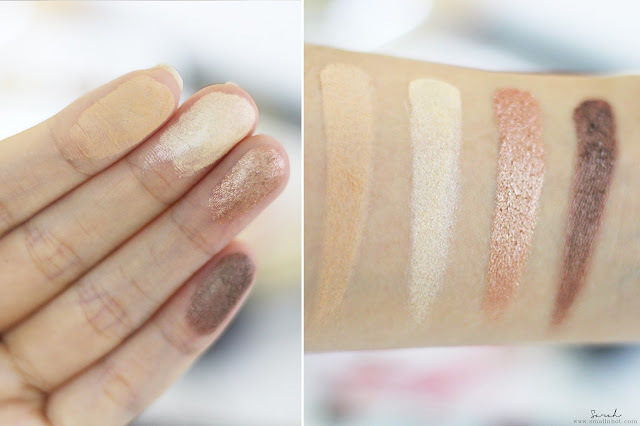 As for the quality, all of the shades are very pigmented especially the shimmery shades and blend well. My personal favourite would be the pearl-white light shimmery shade (2nd from the left) because I can not only use it as a eyeshadow color, also it makes a beautiful highlight too. These stunning matte liquid lipsticks apply smooth and creamy then set dry so that you can look beautiful without a worry. No transfers and long lasting results, just the way we like it. Halal and high performance, a match made in heaven. 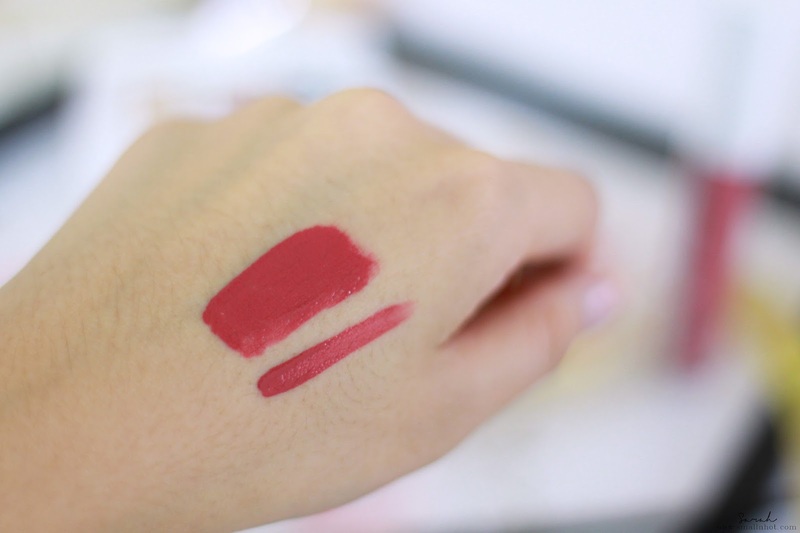 You'll LIKE it if smooth and thick yet not tacky liquid lipstick formula is what you like. You'll HATE it if you have very dry and chapped lips. 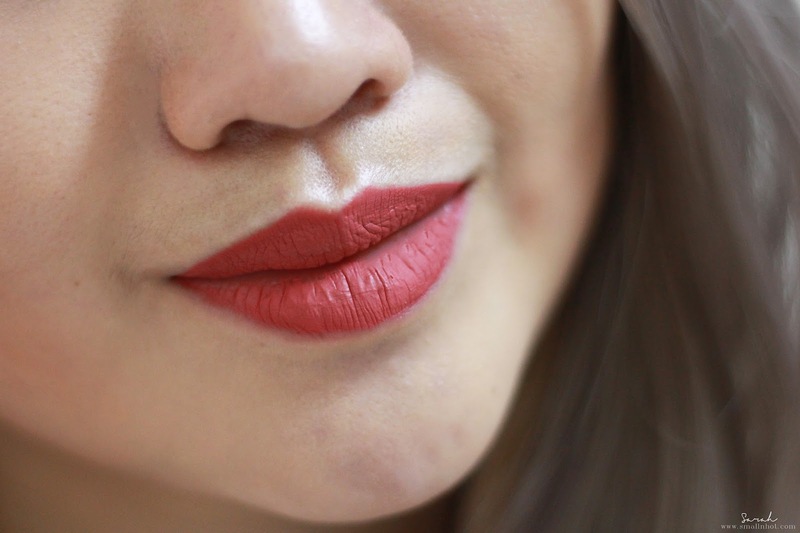 Here's another matte lip cream that comes in a very pretty fuschia pink shade. What I love about this ZAHARA matte lip cream pink shade is that it has a very creamy formula, pigmented yet not very drying for a matte finish. This glides over the lips and dries quickly to a full matte finish with a diffused velvet look. As for the longevity, you can expect a good amount of wear time with this matte lip cream unless you are having greasy or oil foods for lunch, then the wear time might be less to be desired. Overall, the ZAHARA Golden Goddess Eyeshadow is a must-have palette if you love the neutral and no make-up makeup look. 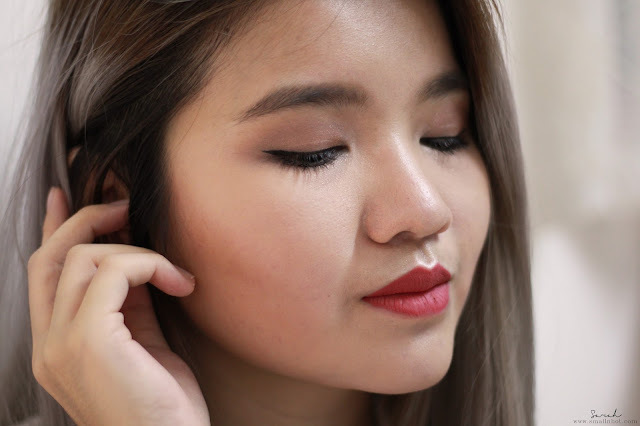 And the Girl Next Door Matte Lip Cream is perfect for a day to day make-up too. and the fact that it's halal, is certainly a plus point for those of you who look for that kind of thing when it come to makeup.